Weddings can cost, that is why we feel that a coordinator should not cost a lot. Our "Day Of" services begin at 600.00 for the entire day. They are usually booked 6 months to a year out. However, unlike other companies, we don't limit you to just the day of your event. We are there for you from the time you decide to hire us to the very end of your event. 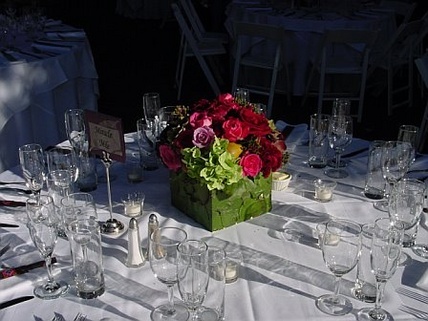 We can assist you with ideas, vendor suggestions, invitations and decor. We will contact your vendors prior to your event to confirm times and their services. We will also provide a timeline which will be provided to all of your vendors with your review and approval. We handle all set-up and clean-up for the event. Walk-throughs are also included. All of your items will be on one location upon the end of your event. Prices for this depend on the size of your event. We are also available to run your rehearsal if so choose. Didn't book a day of coordinator months ago and would like one for your event now? The nice thing about "Day Of" services is that they can also be done closer to the event. We are always eager to help. If we are available, we would be happy to assist you. Give us a call to discuss your needs.